Recently, Sony held an event in Los Vegas called the PlayStation Experience. It was a two day expo, where Sony invited gamers to celebrate all things PlayStation. As part of this were an impressive number of reveals, trailers, and interviews related to upcoming games, with the highlight being both the announcement of Street Fighter 5, and its console exclusivity to PlayStation. However, for a brief moment, it seemed like another announcement was going to steal the show. What I’m talking about is the reveal of Final Fantasy VII coming to PlayStation 4. The video reveal of this game was a roller coaster to fans across the world. There was that uncontrollable surge of adrenaline as dreams were being made, then disbelief as the truth became apparent, then confusion, then anger. 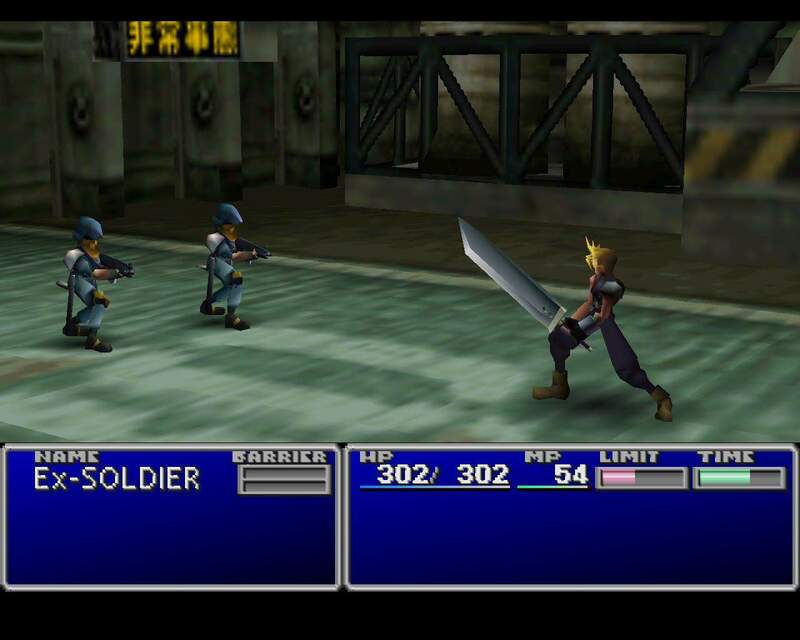 Square had billed the game as Final Fantasy VII HD Remastered, however, what this game was, in reality, was a direct port of the fairly poor PC release. Square had singlehandedly managed to pull an act of trolling on the level of Hideo Kojima. There would be no Final Fantasy VII remake, only an ugly port of an impossibly dated game. For those not aware of the Final Fantasy VII remake saga, the above paragraph might be slightly confusing. Final Fantasy VII is the game that brought JRPGs to the mainstream and it is one of the most popular games ever made. It was also a game that was created at a time where the graphical capabilities of the original PlayStation weren’t being fully exploited, which is a polite way of saying that the game was dated, graphically, within a year of its release. I’m willing to go on the record for saying that, of all of the Final Fantasy games in existence, only Final Fantasy VII’s graphics don’t hold up in some way. The pre-rendered backgrounds are amazing to look at, but the character models… oh the character models. Combine the need for an overhaul with the fact that Square showed off a PlayStation 3 tech demo, which featured a completely re-done version of the opening of the game, and you have some very real interest in a remake. Square gets asked about any plans to remake the game occasionally. They usually slough it off, with the last official statement being that they would remake Final Fantasy VII when they made a game better than it. So, Square knows how ravenous fans are for this game. With the above knowledge, you can see how potentially damaging Square’s decision was. They used an event to show off their latest port in a grand style. They knew, or should have known, that this lavish unveiling would be interpreted in the wrong way. And it was. You could practically feel the tension from the audience as the trailer went on. The internet, ironically, was slower to react. Days after the event, there were still new forum posts shouting from the rooftops that Final Fantasy VII was getting a PlayStation 4 remake. Then the rest of the forum angrily explains the real situation. They are angry because they are hurt. They are angry because so many of them have lost faith in the company that brought us classics like Chrono Trigger, Secret of Mana, and yes, Final Fantasy VII. Square already lost a lot of people with the less-than-stellarly received Final Fantasy XIII series. More lost faith is the last thing Square needs right now. Of course, this hardly stopped them from yanking the carpet from underneath its fans in Vegas. What Square was likely trying to do was to build hype for their new game, obviously. They wanted to show off something at the event, and probably had nothing ready from either Final Fantasy XV or Kingdom Hearts III. Someone in the company, someone probably with a head injury, thought that fans would appreciate a big reveal of the port. That person was wrong. Square made a massive miscalculation on how the announcement would be received. What was intended to build hype, only built hate. The worst part of the whole affair was that everything that happened was extraordinarily predictable. Anyone with half a brain could have figured out that this was going to be a gaff. And the problem isn’t the fact they are porting the PC version of Final Fantasy VII to the PS4. The problem was the way they went about announcing it. Announcing a game by releasing a trailer or making a press release isn’t going to set up some impossible expectation. However, making a thing of it at a large-scale event where major reveals were being touted, was a bad move. Lets not kid ourselves – any announcement relating to Final Fantasy VII that isn’t a remake is going to get some backlash. But Square had the tools at its disposal to reduce this backlash or amplify it. They chose the latter. The thing that bugs many Final Fantasy VII fans about the announcement, however, isn’t the fact that Square trolled them. No. It’s that the announcement of this port drastically reduces the already minute chance that Square was going to announce a remake for Final Fantasy VII. After all, why would they now? Ports don’t take a lot of work, but they do require some amount of time and money to build. And people are more likely to by a remake of a fond classic that they don’t have as ready access to anymore. If Square releases a remake now, both it and the port would eat into each other’s profits. That’s bad business sense. Although, with how Square handled the announcement of the port, making bad business decisions might not be out of the realm of possibility. So, Square made a rather obvious miscalculation, and the internet hates them… again. I think remaking FF7 would be a big mistake. It is a no-win situation. Change something about their beloved game and people will complain. Don’t change something about an outdated game and people will complain. When it comes to the ultimate Fantasy, Final Fantasy 7 was it. What was special aboute FF7 was the many different places in the World, all the unique places. FF7 also had the best soundtrack ever.